We kept writing valuable advice for brides and sometimes we forget that a bride can’t make a wedding all by herself. Today, we’ve decided to start a series of articles that’s going to help the bridesmaids in throwing excellent bridal showers. The bridal shower is one of the most important responsibilities of a bridesmaid and every girl wants to make her best friend feel spoiled and perfect at this party. Today, we are going to provide a very colorful idea: cocktail and cupcakes bridal showers. First of all, you’re going to need a lot of cocktail recipes to put together some colorful glasses with pretty-looking and tasty drinks. 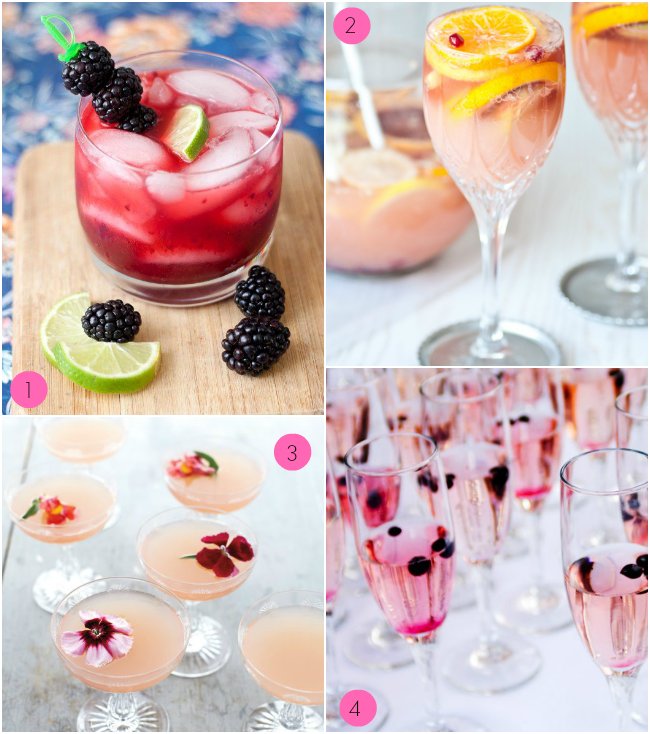 To make them even more girlish, opt for fruit cocktails. You’ll need fruit flavored syrups that are generally used to prepare such cocktails, as well as pieces of fresh fruit for extra aromas and for decoration purposes. To make everything look beautiful, I suggest you setup a table with a colorful tablecloth, prepare glasses in all shapes and sizes, buy colorful straws and cut your fresh fruits and place them in transparent bowl, for an even prettier color effect. As far as the cupcakes are concerned, you have 2 choices. You can either bake and decorate them and have them served on another table, with colorful napkins and single-usage paper plates. The second options would be to bake them and prepare several types of frosting and have the bridal shower guests add the frosting and toppings of their choice. This way, you can ensure and extra activity that could turn out to be lots of fun.